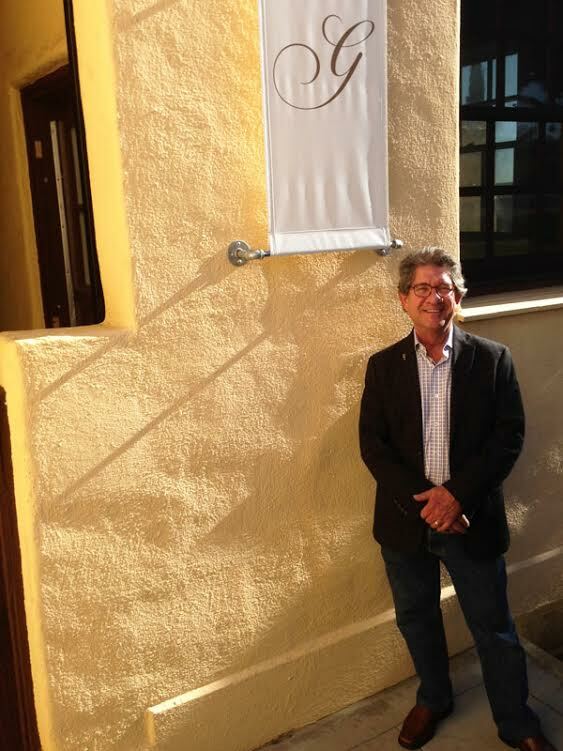 Gary Gilmore in front of his new place in Liberty Station. Most photos by Matthew Wood. Fear not, fans of Gilmore Jewelers. The iconic shop is still in business. It’s just a bit tougher to find, and that’s just the way Gary Gilmore likes it. He closed up the longtime shop on Newport Avenue at the end of the year, moving to cozier digs in Liberty Station and taking customers on an appointment-only basis. Gilmore recently gave me a tour of the new shop, which really does resemble a home. He has a waiting room in the front to show off some of his wares, leading customers to an adjacent sales room – both of which feel more like living rooms or bedrooms. Through a kitchen and hallway is his workroom and computer area for bookkeeping. Gilmore said he really wants to emphasize online sales with the help of his wife and two daughters. A familiar face in the neighborhood will take the place of his old store. Chapter One Tattoo moves just a few doors east from its current location. Owner Cash Scott signed a five-year lease with Gilmore in what both call a perfect situation. “He’s been a great neighbor,” said Scott, who bought his wife’s engagement ring from Gilmore. Gilmore said he hired a firm to help find a tenant, which in the end turned out to be a big waste of time. Gilmore had been approached by a number of people about the space, including wine bars and beer tasting rooms. Scott plans for the new place to open March 1, in what he calls a seamless transition. He said OB resident Loida Palmer is opening a gift shop in the old Chapter One location the following month. He doesn’t anticipate having to make major changes to the store, Scott said. For Gilmore, leaving OB is a bit bittersweet. Gary and Beth in front of the old shop on Newport Ave. Photo by Frank Gormlie. He said he’ll take every opportunity to come back to the ‘hood. 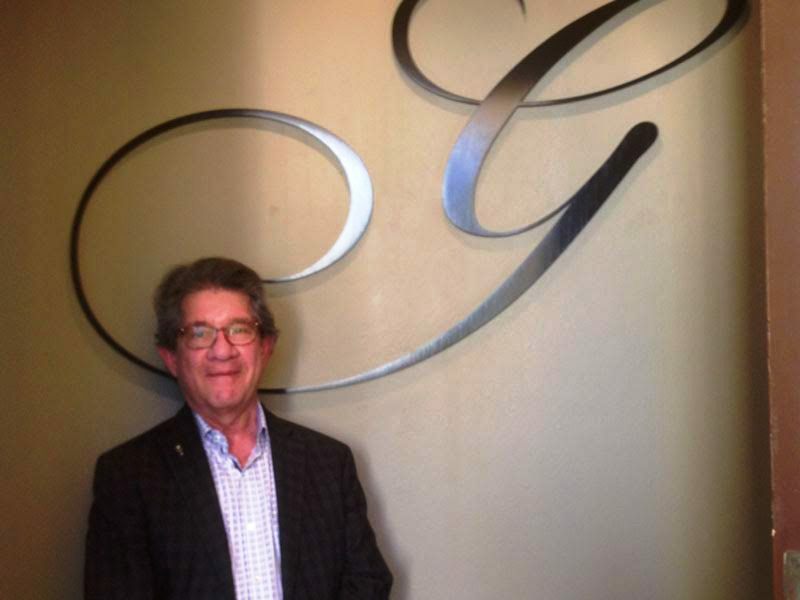 Gilmore still believes in the core tenets of Ocean Beach after all these years. Gilmore also said he never felt unsafe in the area. In his decades on Newport, he only had one attempted break-in, which ended quite comically. A would-be robber was stuck, unable to escape from the paneling. Gilmore said that, before he knew it, a number of cop cars were on the scene to check it out, along with every TV station in town. “That Saturday, I did business like the day before Christmas. It was incredible,” he said with a laugh. He also made his presence known one last time before leaving the neighborhood. As movers were packing up the shop, all of a sudden he heard a deafening crash. His six-foot safe toppled over. Fortunately, after a whole lot of maneuvering, they were able to get the thing upright and out of the store. It now resides at the Liberty Station location, though I’m sworn to secrecy about its exact whereabouts. 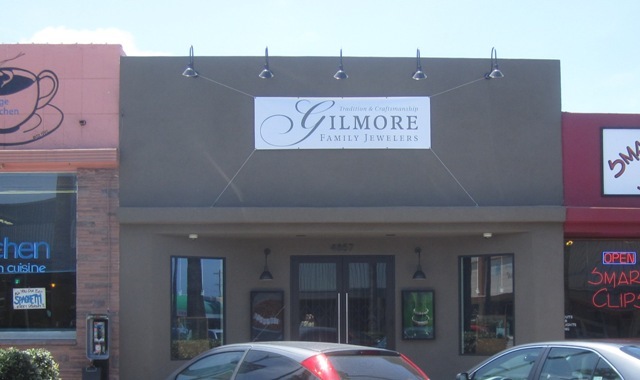 So, as Gilmore starts fresh with a new location in a new neighborhood with a new storefront – he kept the “G” from the old building, but not a whole lot else – he’s able to reflect on what exactly he wants to do with his time. He said working retail never really let him fully explore his craft – his art, if you will. I asked him if he thought of himself as an artist. He’s also excited about getting more family time. His wants his 40-year wife Beth and daughters Alex and Vanessa – both of whom are expecting children in the next few months – to play a prominent role in the business. 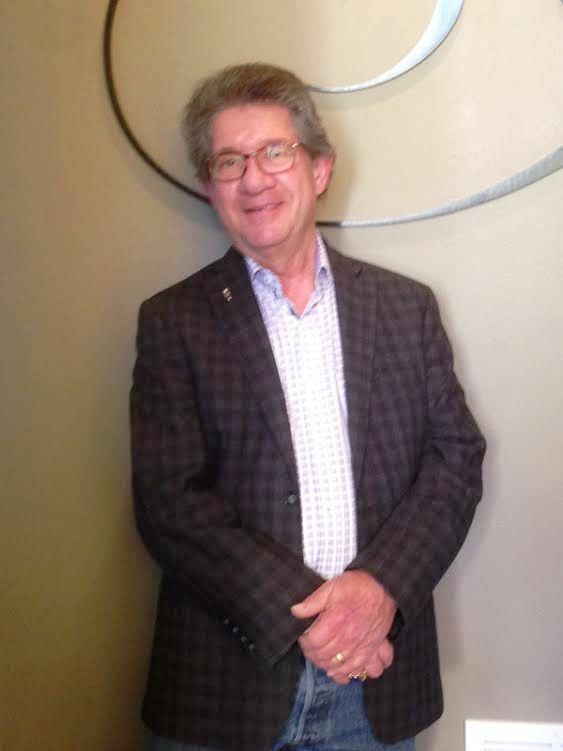 Gilmore said the setup works well, since he always has a soft spot for his clients. I’ll second that. Thank you. 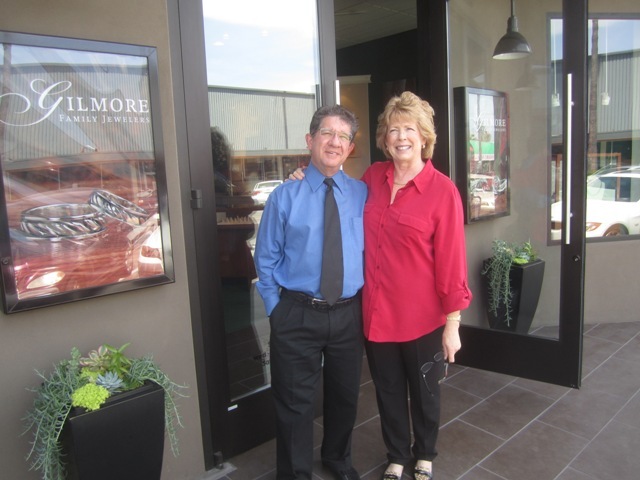 The Gilmore family, just like their jewelry, are OB treasures! Thanks for all you continue to add to the community. Looking forward to seeing your new digs Gary! And although I like to imbibe, I’m glad we’re not adding yet another bar/tasting room. Thanks for the kind words Jon. You and Tanya will always be welcome guests. I will miss the Gilmores presence on Newport. The number of open breweries on Newport is zero. ok ….beer joints and/or “tasting rooms”. The coming OB Brewery will actually brew on site, therefore it will be a brewery. No offense to Mr. Gilmore, but I just wish he hadn’t decided to relocate to Liberty Station. You can’t get farther away from OB spiritually than that place. A good market for a jewelry man for sure, but it has no soul at all, none. Newer Article: Is This Encroachment Into Our Public Space?